On the next Hometown, Alaska, we’re talking about energy. 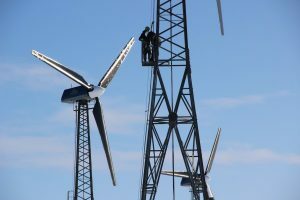 A new report looks at opportunities for Anchorage to save energy and to produce it in more sustainable ways. What could we do better as a city, and what could you do better in your home or business to reduce impacts on the planet, as well as save money? The world is changing and we welcome your thoughts on the transforming energy future. Send email to hometown@alaskapublic.org before, during or after the broadcast.